Exploring Sound through Theme & Variation. With classes created for adult learners, we will investigate the classical structure of Theme and Variations, and compose music using non-traditional sounds. No experience required! Soundry is directed by composer and pianist Stacey Barelos and includes expert instructors from Omaha and around the country. Our patrons attended Alliance Française d’Omaha’s two-hour workshop on Saturday, July 21st at KANEKO. Every culture has its own way of expressing itself—words, phrases, and idioms that aren’t taught in the classroom. This workshop taught us how the French do it. We explored all aspects of slang, learned how to be cool in French and recited the words one may want to avoid! Learn l’argot française! Requirement: Must have had prior French knowledge. Instructor: Samuel Tepanossian is currently a Project Manager and Key Account Manager for the Canadian market at Travers Tool Company. A French-Armenian, Samuel moved to Omaha in the summer of 2017. He received his MBA from ICHEC, and before that was a graduate of Haute École de Lucia de Broukère, where he received a BA in Public relations. Samuel began his career in Brussels, where he specialized in Team Management and Human Resources at the European Institutions, eventually leading to a prominent position at Procter &amp; Gamble where he later became a Brand Ambassador. In 2012 Samuel had the opportunity to move and live in the US. He worked in New York City for a home décor company as an e-Commerce Business Development Manager. Living in different countries has taught Samuel to enjoy meeting new people, trying new cuisines and exploring new cities. We packed a bag lunch and joined Alliance Française d’Omaha’s two-hour workshop on Saturday, June 9th at KANEKO. If you’re like many trying to learn French, sometimes the language seems like more vowels than consonants, some pronounced, some not. Patrons learned how to master those sounds the English language doesn’t use, the right way to pronounce a string of vowels, and the quandary of whether to pronounce a consonant or not. Our instructor, Paul Callahan, guided us through this and made it fun. We left with some tools to make French words seem less daunting. Requirement: Must have taken French classes and know some French. Instructor: Paul Callahan has taught French with the Alliance Française d’Omaha for a little over a year. Paul is finishing his fourth year as a high school French teacher and looking forward to his fifth. After spending a couple of years in France, he completed his BA in French at UNL and then went on to finish an MAEd at UNK. He’s working to exploit, to the extent possible, as much of the latest and greatest technology as he can get into his classroom. Omaha Under the Radar is proud to bring you the Soundry Institute. 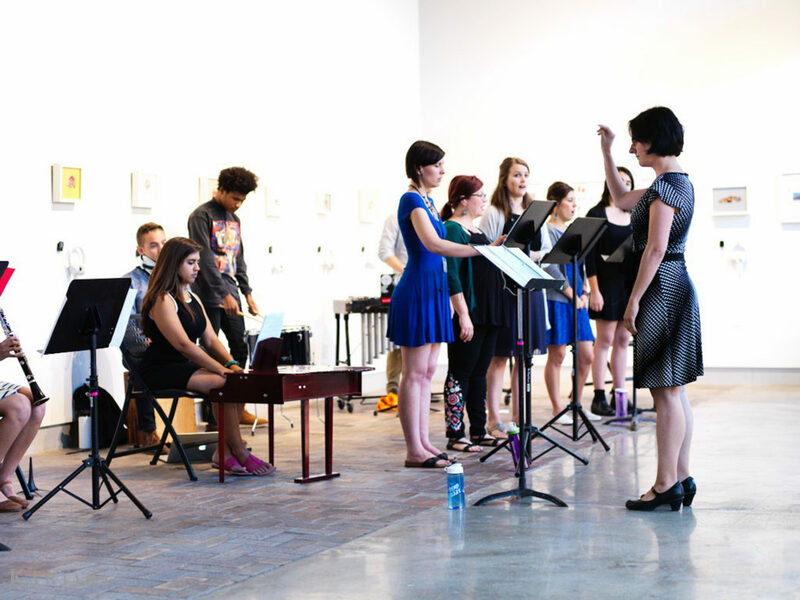 Soundry is a week-long summer institute for any interested in exploring modern classical music. 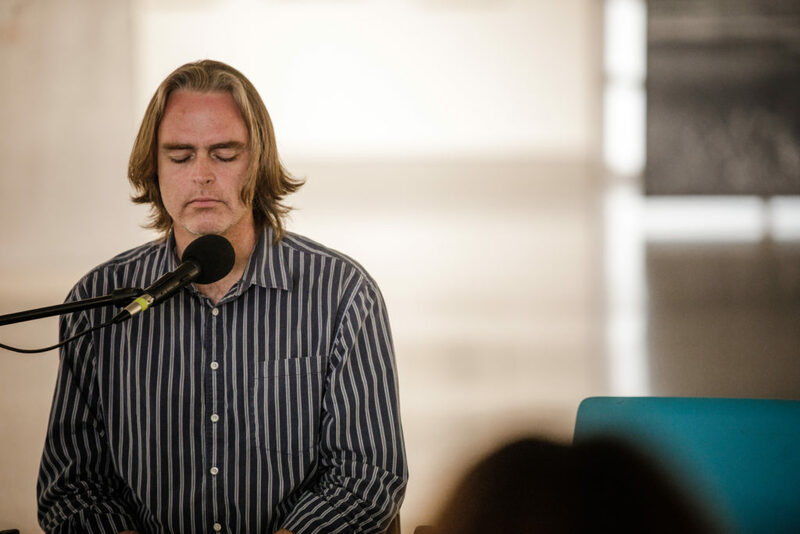 The institute will include sessions on composition, improvisation, and professional development given by renowned Omaha Under the Radar Festival artists and guests. Soundry is suited for ages 18 & up (ages 14 – 18 will be admitted with permission). Registration is required and space is limited for this program. Deadline to register is July 1st! Soundry is directed by composer and pianist Stacey Barelos, and includes expert instructors from Omaha and around the country. Omaha native Stacey Barelos is a performer and composer specializing in the music of the 20th and 21st centuries. Regarding her first solo release, The Midwest American Piano Project, the American Record Guide said, “Stacey Barelos…plays with authority and poetic nuance, her beautiful tone captured vividly in this warm recording…” As a composer, Stacey’s works have been performed across the U.S. and in Europe and Australia. In addition to her concert works, Dr. Barelos frequently writes pieces for her studio. Her recent article, “Composing for Your Students!” encourages other teachers to do the same. Currently, Dr. Barelos teaches piano and composition at the Omaha Conservatory and is the Education Director for the Omaha Under the Radar Festival. Omaha Under the Radar is an annual experimental performance festival in the Midwest. We celebrate cultural innovators with performances throughout the city of Omaha. 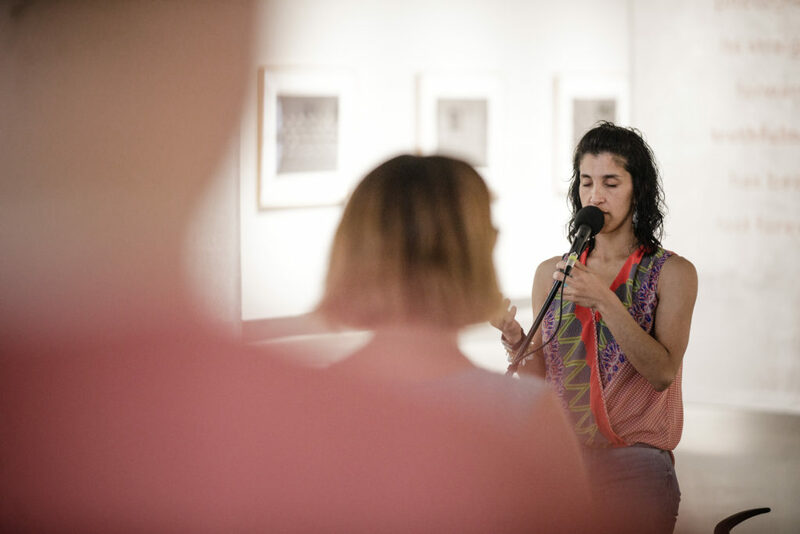 The festival emerged from a desire to recognize and elevate the adventurous and innovative performers and creators living and working in the Midwest, and to connect this community to other performance communities throughout the United States. Since the first festival, held in 2014, Omaha Under the Radar has presented over 200 artists from more than a dozen cities throughout the United States. We work to represent a multiplicity of genres, ideas, and identities through performances, talks, group discussions and educational opportunities. Omaha Under the Radar is a 501(c)3 nonprofit organization. Explore music making through an experimental lens. 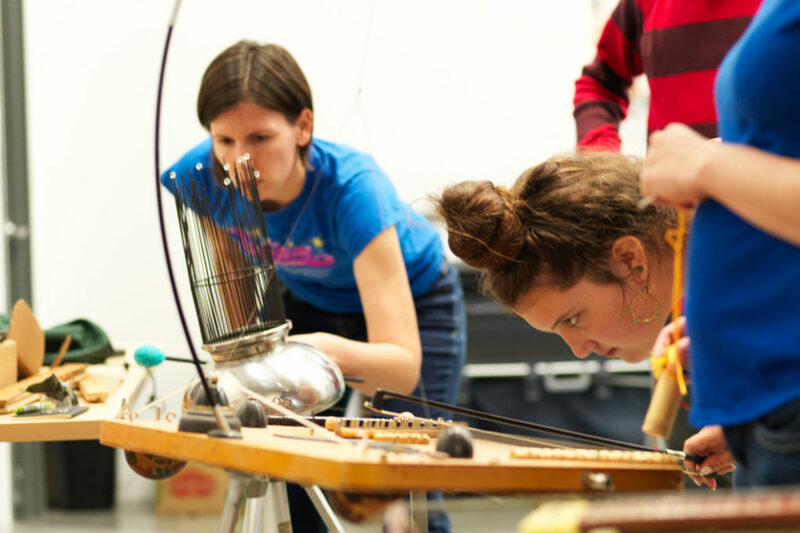 This Soundry workshop explored the magic of instrument building. Attendees were able to create, play and take home their very own instrument! With classes created for adult learners, we investigated the art of sound installation, instrument building and 21st Century compositional techniques. This workshop was open to ages 18 and up. No music experience required. Soundry is directed by composer and pianist Stacey Barelos, and includes expert instructors from Omaha and around the country. Of course! Photos include original instruments created by Jay Kreimer.